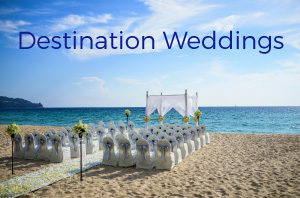 As an engaged couple, the question of having a destination wedding may come up. After all, who doesn’t get excited about the idea of going somewhere gorgeous and unique to exchange your wedding vows? If you find yourselves debating on “should we” or “shouldn’t we”, take a look at these ten reasons to have a destination wedding. Our Destination Wedding Specialists are here to help!